Typhoon "Maring" strikes, class suspension still ongoing. 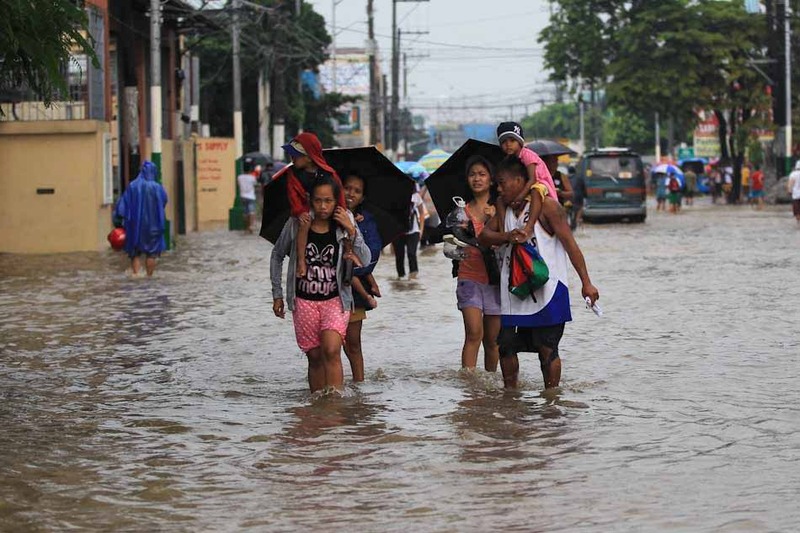 We had been experiencing the non-stop rainfall brought by Tropical storm "Maring" since Sunday, August, 18 which prompted PAG-ASA to extend the rain alert from "orange" to "red". Due to inclement weather caused by Typhoon "Maring", classes on all levels were suspended on Monday, August 19. Work was also suspended on government offices as well as some private sectors on Metro Manila. I signed up for Alyanna's Fitness Party at Eastwood Mall hosted by Megaworld Lifestyle Malls last July 21, 2013. I've been wanting to join Alyanna's fitness party because I've been hearing great feedback about it. 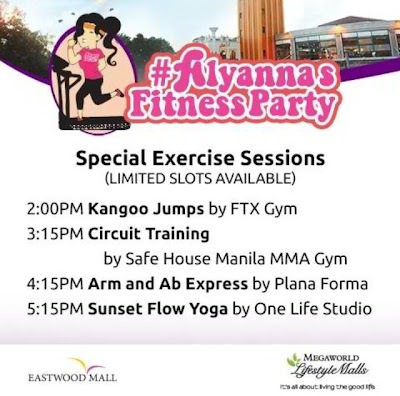 Her fitness party has been going on for quite some time, and this is the first time I was able to signed up for it (The event is exclusive and by invite only). 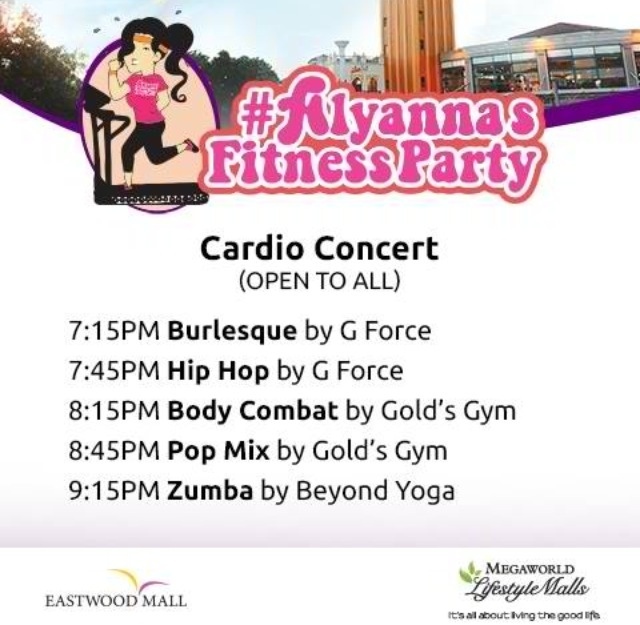 I was not feeling well the whole weekend so I was hoping to feel a bit better once I got my doze of cardio and workout. The whole day was packed with activities which made more giddy. National Pizza Day at CPK! California Pizza Kitchen is celebrating National Pizza day on August 15, 2013 with an awesome promotion. BUY 1 TAKE 1 on all their pizzas on that day. All of us know that drinking Tea has a lot of health benefits. Tea contains antioxidants which helps prevent diseases like heart diseases, neurological diseases and also cancer. 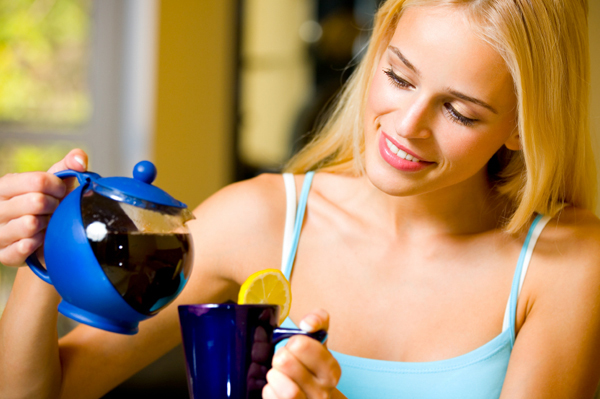 Tea aids in digestion and improves bone mineral density. Tea Drinking is an uncommon culture in the country as compared to our neighboring Asian countries who drinks tea regularly. Filipinos doesn't have an acquired taste for tea. But as we are adapt with the changes in our lifestyle, tea drinking has been adapted and was made to suit our taste through the popular milk tea. As we all know, the Tea Shop industry had made its way to the market here in the country through the introduction of milk tea. I,myself LOVE milk tea. Milk Tea shops can now be seen anywhere, especially in shopping malls. I can say that I had tried plenty of milk tea shops in the metro. It was my first time hearing about SuperDuck. SuperDuck originated in Lu Kang, Changhua County, one of the Top 10 Small Tourist Towns in Taiwan. It's their first shop here in the Philippines and I was grateful that I was invited to sample their teas. Now that the rainy season has arrived, the temperatures dropping and everyone's feeling under the weather most of the time. It's the perfect time to whip up our favorite soup dish, sinigang. 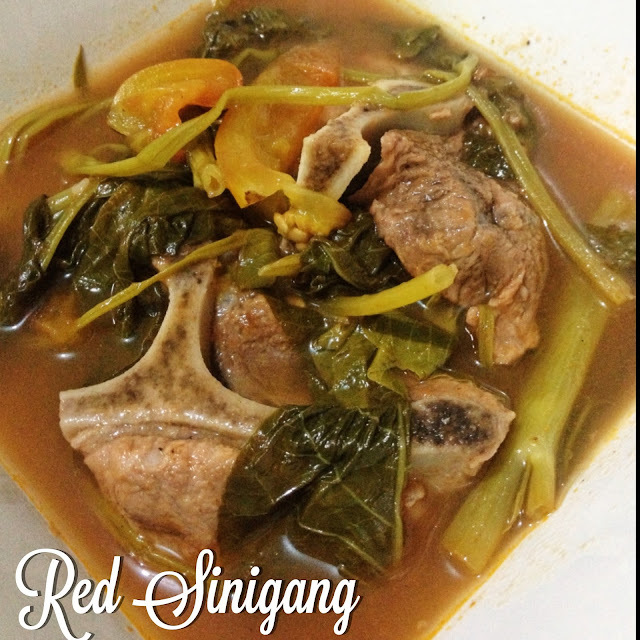 If you are looking for something to spice up your usual cooking, here's another version of our ever favorite sinigang. Sinigang with a twist, called red sinigang because of inclusion of tomato sauce in the dish. Detoxification is the process of naturally eliminating the free radicals or toxins that had been accumulated in our body as an effect of our daily lifestyle. It does this by removing impurities from the blood in the liver, where toxins are processed for elimination. The body also eliminates toxins through the kidneys, intestines, lungs, lymph and skin. Detoxification helps purge out the harmful toxins in our body, cleaning the bloodstream and recharging body organs.